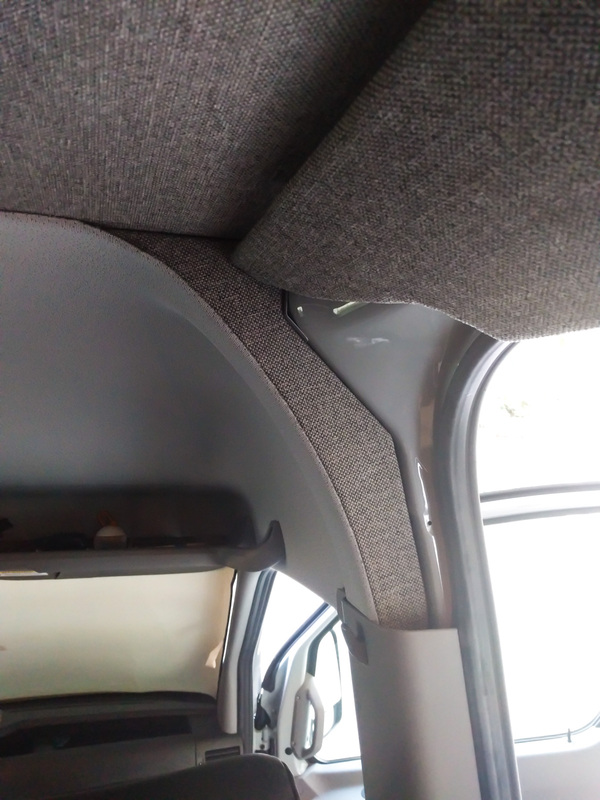 If you’ve removed the van headliner, you’ll be left with a gap where the cab area headliner stops. We filled this gap with a fabric-covered piece of plywood. Several people asked us for a template for this piece, so here it is. Here’s the gap we’re talking about. It’s a weird shape. Here’s the template for the space behind the cab area headliner you need to recreate that shape. We decided you were more likely to have access to U.S. Letter sized paper than Tabloid, so once you print out the template, you’ll need to cut out the two pieces and tape them together. After doing this, check that the template is the right shape before you commit it to plywood. You might need to trim it slightly. Luckily, covering it in foam and fabric covers any minor imperfections. Once you’ve done that, you’ll need to put spacers behind it where necessary, then stick it in place. We used VHB tape. Magnets or velcro would probably work well too. We hope this saves you a couple of minutes of cursing with cardboard cutouts! Thanks for taking time to post this. Definitely saved some cursing for me. I have the cutout but am here scratching my head how to use vhb tape to stick it to the van? Please shed some light. 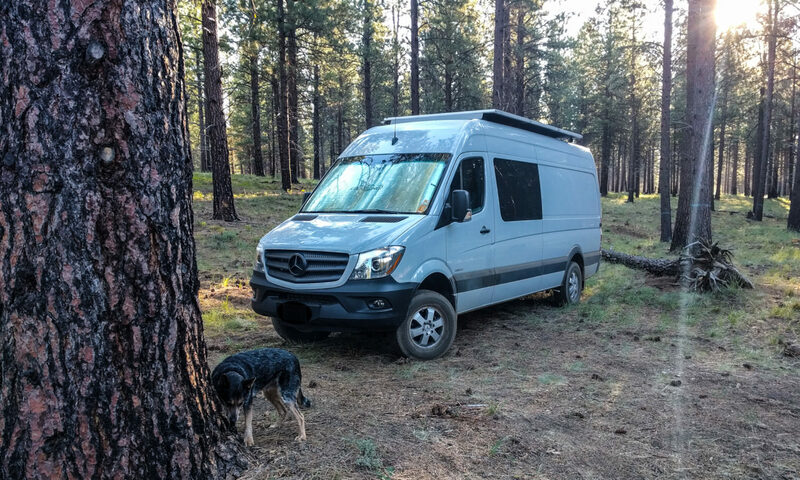 Pujan – at the top, the template touches up against the metal of the van. At the bottom, you need a spacer (~1-1/4″ deep if I remember) made of hard foam, wood, or similar, to get the template piece at the right distance away from the metal bracket near the top of the plastic b-pillar cover. I’ll see if I have a photo somewhere that describes what I mean.